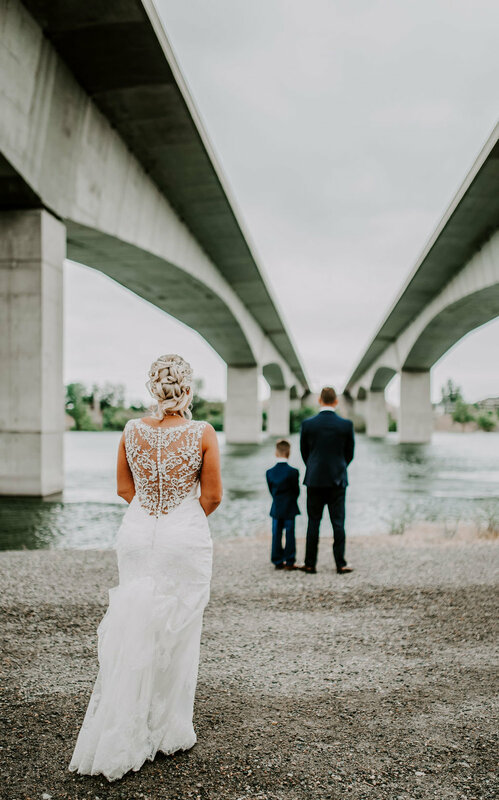 I hear so many brides saying their Fiance doesn’t want to do it because they don’t want to “ruin the moment”, this made me want to write a little about why I LOVE the first look and maybe you can use these reasons to weigh in and see what you think. I am in no way telling couples to do a first look. I am a firm believer you need to do what YOU feel will make your day the most memorable and true to you both! I have been to dozens of weddings over the years … not hundreds but definitely my fair share and I have seen first looks planned ahead of the ceremony and the traditional at the ceremony. Either way, the moment is perfect and it gives me chills. So why would doing a first look before the ceremony really matter? Is it just so you can do portraits before the ceremony? Sure, that helps with that but there is a bigger reason I like to point out. The main reason I am for a First Look before the ceremony is time spent TOGETHER! 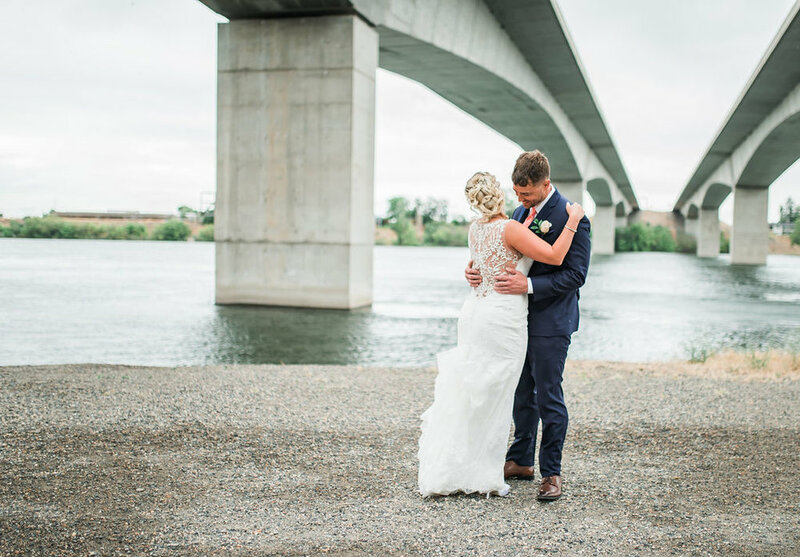 Imagine waiting all day to see each other … one or both of you have spent the day longing for the other and nervous or extremely anxious to get to the ceremony to see the other. You have spent so much time planning this event and now the day is here and you are separated for most of your big day. Once you do finally see each other at the ceremony, you are now together with everyone and they will all be looking for your attention. You will be rushed to do portraits after the ceremony and then get to the reception and eat and then … and then … and then …. There won’t be many quiet moments to just reflect on your day and see each other or share quiet words. When you choose to do a first look before the ceremony, you start your day earlier, you get ready earlier and plan with your photographer a great place to share your first look, to share a moment with each other, to hold each other, to take in all the details of the dress and how absolutely stunning your bride is … maybe you have her do a little twirl and see how absolutely glowing she is. 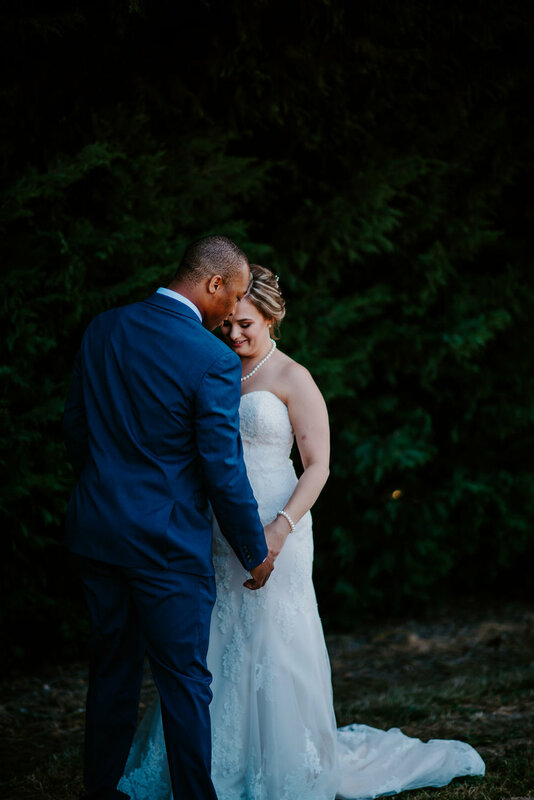 The moment is still there, it isn’t lost … but now you get to spend the next few hours TOGETHER while you do formal wedding party portraits TOGETHER and wait TOGETHER for your ceremony. All those jitters start to calm now that you are with your significant other and you are able to share words of encouragement and laughter about what happened while you were getting ready. 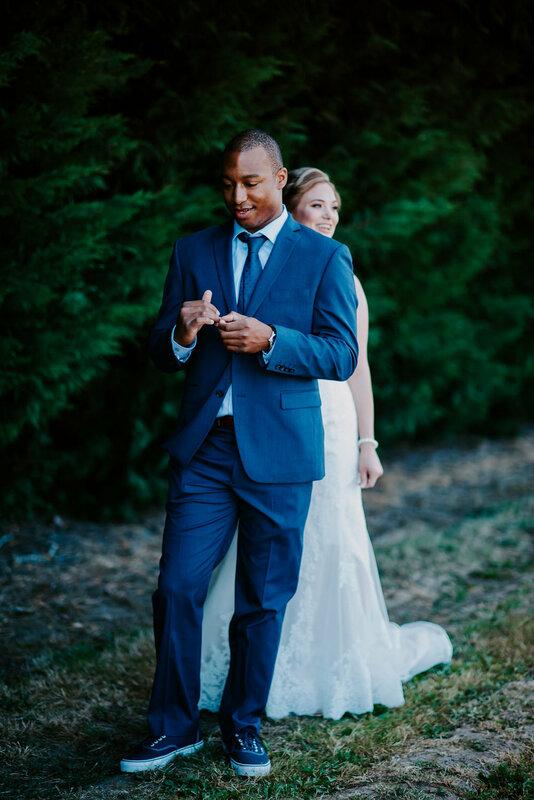 Now, when you get to the ceremony and the bride is walking down the aisle before all your guests … you lock eyes and you smile, you wink … you got this and now the excitement flourishes! After the ceremony you spend about 20 min doing family portraits while the rest of your guests get settled at the reception and you join your party and are able to give all your attention to all your guests who are there to cheer you on and celebrate WITH YOU. You guys, your wedding day will be over so quickly and all the time you have spent planning and preparing will be over in the blink of an eye. Consider when planning this day, how much time will you actually spend TOGETHER?